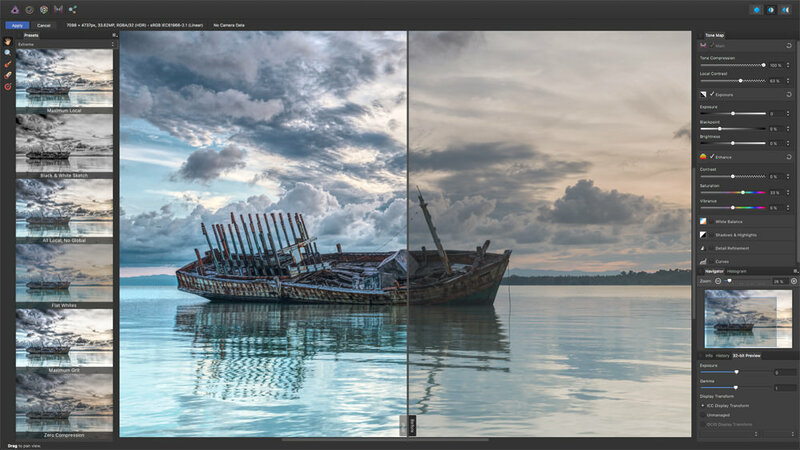 If you want to improve your photos, or combine them into a work of art, Affinity Photo has you more than covered. Available for Mac, Windows and iPad, Affinity Photo will always be focused on photo-based activities, and that’s a good thing. It means the dev team will always be focused on the things that matter to you, instead of trying to make one app do everything. No bloated extra features slowing the whole thing down. 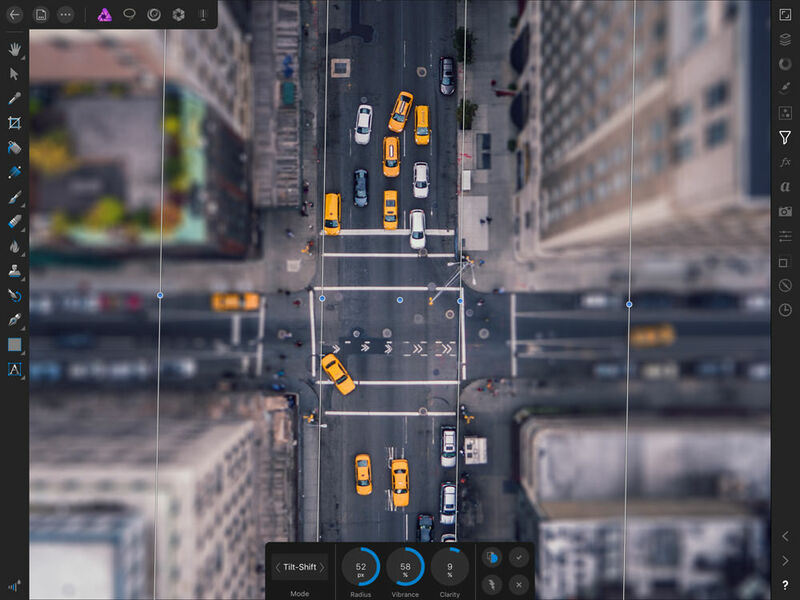 This means a smaller, much faster and more powerful app that puts the tools photographers need, and nothing more, right where you can see them. That focus also results in a much more intuitive interface. With Affinity Photo, you’ll probably find there’s not much need to customise the interface. Almost everything you need is right there. You’re only paying a one-off price for the app – there’s no monthly fee and no hidden payments. Updates are free too, so you still get new features added on a regular basis and fast, regular bugfix releases. Non-destructive editing - Makes the files a little bit bigger, but it means that you’ll almost never have to start over from scratch. Unlimited undo history - undo your way back to a white canvas at any point in the process. Shared file format - Affinity has the edge here by far. Files created in Affinity Photo can be opened as-is in Affinity Designer, and vice versa. Liquify persona - a full-featured UI, within easy reach. No drop-down menus required. Tone mapping persona - a popular technique, partially thanks to the rise of HDR photography. Typography - full control over spacing, tab stops, justification, the baseline, minute kerning adjustments, and everything else you could possibly need. Real-time previews – why should you have to apply a filter to see how it’s going to look? Takes a lot of the guesswork out of editing images. 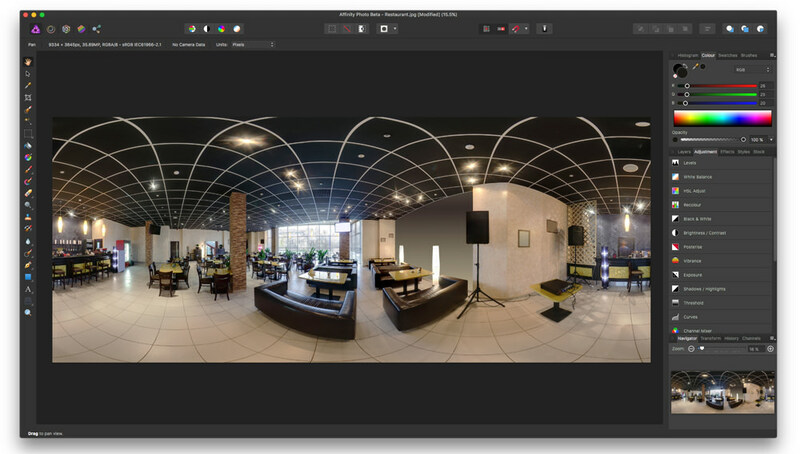 Edit 360° images in 360° mode - it’s honestly a bit like being able to reach out and use the “heal brush” on reality (probably every image editor’s dream!). Apple doesn’t give coveted WWDC keynote space to UK indie developers without them having something really special to show off. And you could hear photographers’ jaws dropping around the world when Affinity Photo for iPad was revealed at WWDC2017 in San Jose in June. 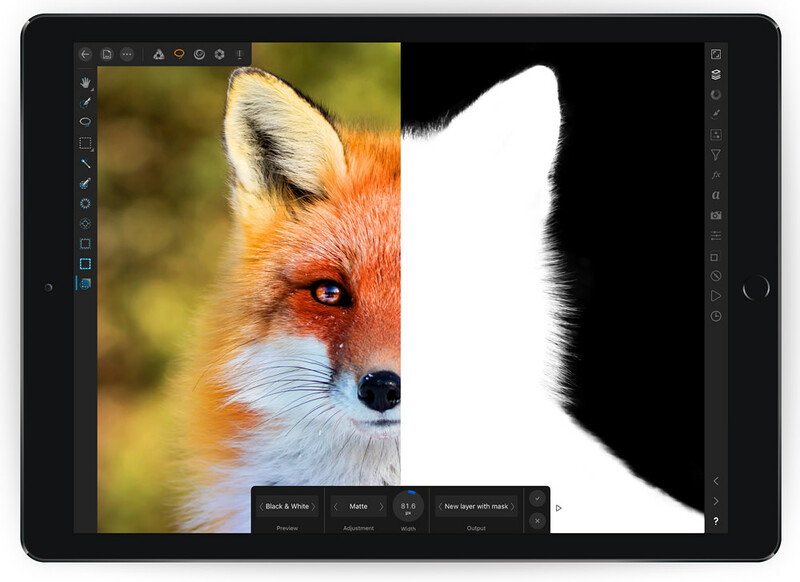 It was literally a world first – a photo editing app for iPad which has virtually all the professional features of its desktop big brother – not a compromised ‘lite’ version. For photographers who do a lot of work on the move, this is priceless. It means you can shoot and edit on location, with access to all the tools you’d reach for when you got back to your desk. Save your edits to the cloud and you can pick up seamlessly where you left off on the desktop version. Everything’s in the same app, not fragmented into various ‘mobile’ versions. Perhaps even more fast and powerful than its desktop equivalent, Affinity Photo for iPad takes off to stratospheric levels of performance when its teamed with Apple Pencil. No wonder it was Apple’s 2017 iPad App of the Year. Affinity Photo for Mac or Windows is being offered with an amazing, exclusive 50% discount to ePHOTOzine subscribers! To buy, click below – you’ll also need to set up an Affinity user account. *Affinity Photo for iPad is priced £19.99 from the App Store.